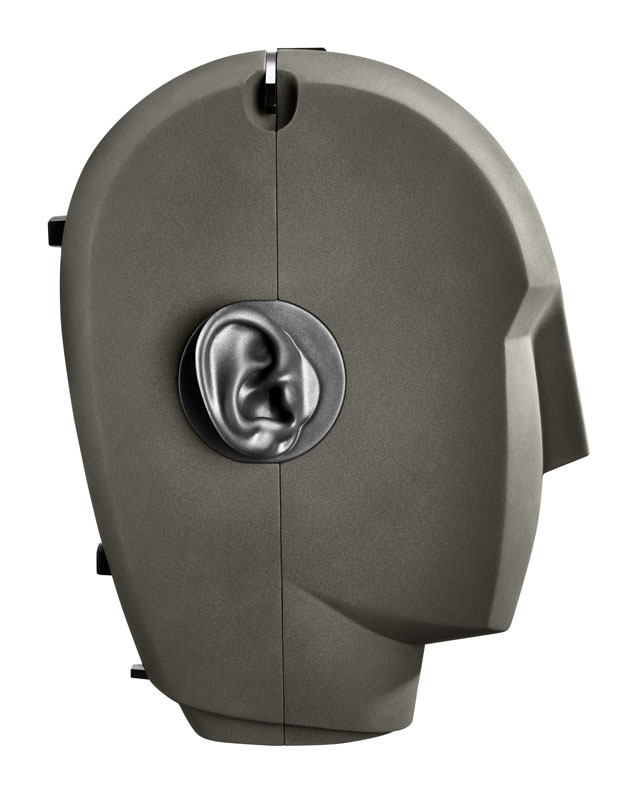 The Neumann KU 100 is a dummy head microphone for a truly immersive binaural listening experience with headphones. Although it uses only two channels, its spatial depiction appears three dimensional and shockingly realistic. The KU 100 can be used to great effect in music and audio drama productions. Moreover, KU 100 recordings are loudspeaker compatible. Conventional recording techniques attempt to transfer an acoustic event into the listener’s environment. The result is often dissatisfactory because the original room is put into a second room. Dummy head recordings are a much more immediate experience, because they transfer the listener into the environment the acoustic event originally took place. Moreover, head related stereo recordings are truly immersive: While conventional stereo recordings are limited to left and right and, at best, a sense of depth behind those speakers, head related recordings create a three dimensional sonic image surrounding the listener. 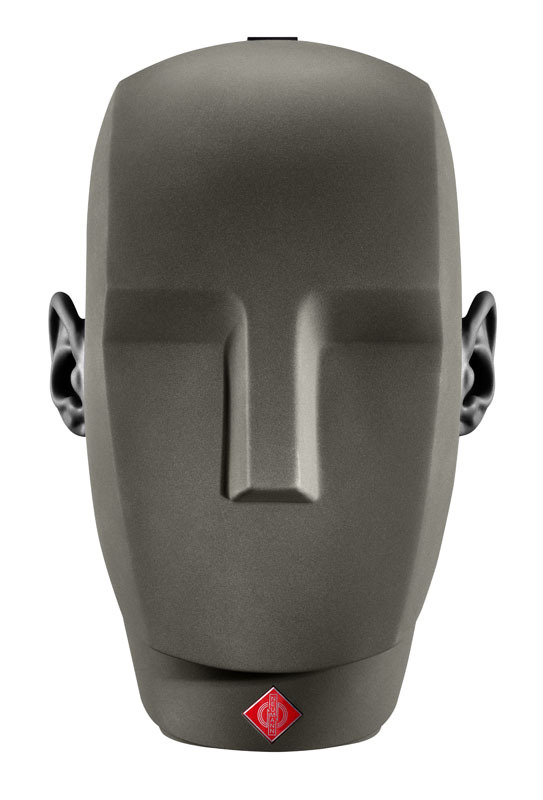 The KU 100 dummy head is a binaural stereo microphone. 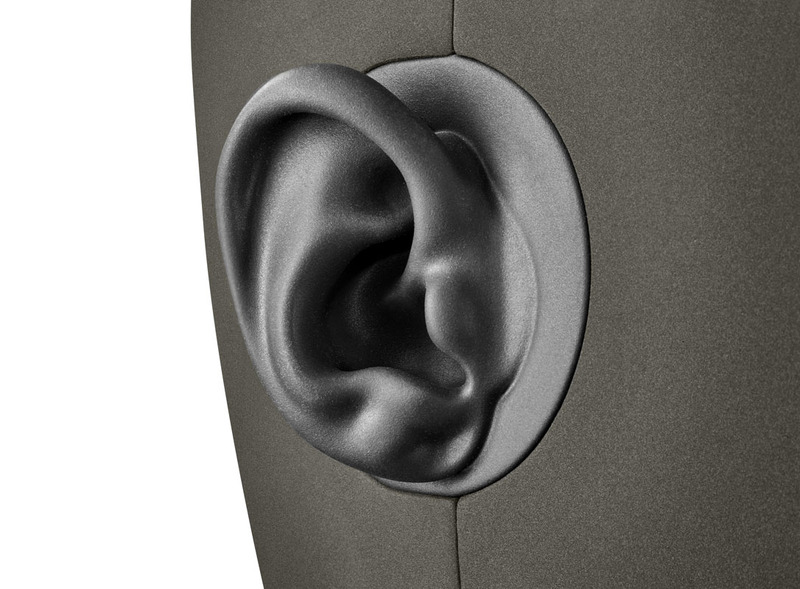 Two omnidirectional condenser capsules are built into artificial ears mounted on an enclosure resembling a human head. KU 100 recordings played back over high quality headphones thus give the listeners an experience almost identical to what they would have heard with their own ears at the recording position, with stunning lateral and vertical localization and a breathtaking sense of space and a room decay that surrounds the listener. Immersive sound has never been easier: Simply place the KU 100 at the optimal listening position! 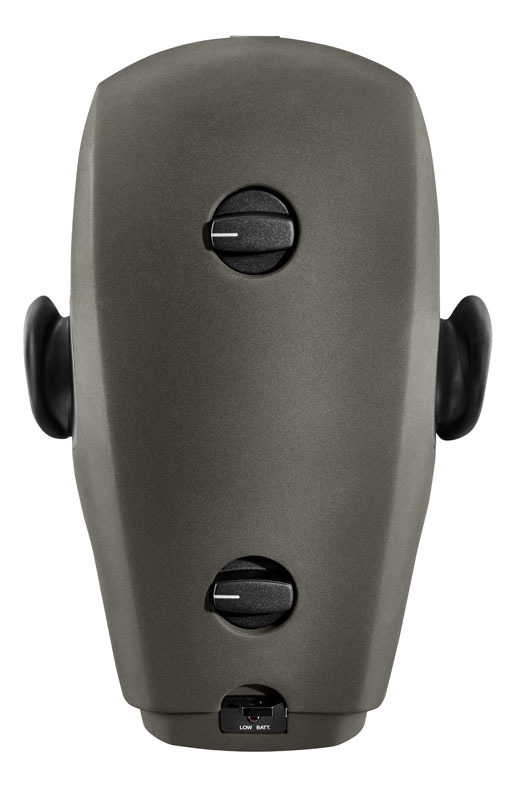 Unlike older dummy head microphones, the KU 100 is compatible with loudspeaker playback, too, creating a stereo image similar to conventional microphones yet with a superior sense of space and depth. Thanks to its state-of-the-art transformerless circuitry, the KU 100 has very low self-noise and can handle high sound pressure levels of up to 135 dB without audible distortion and up to 145 dB with the –10 dB preattenuation switch activated. 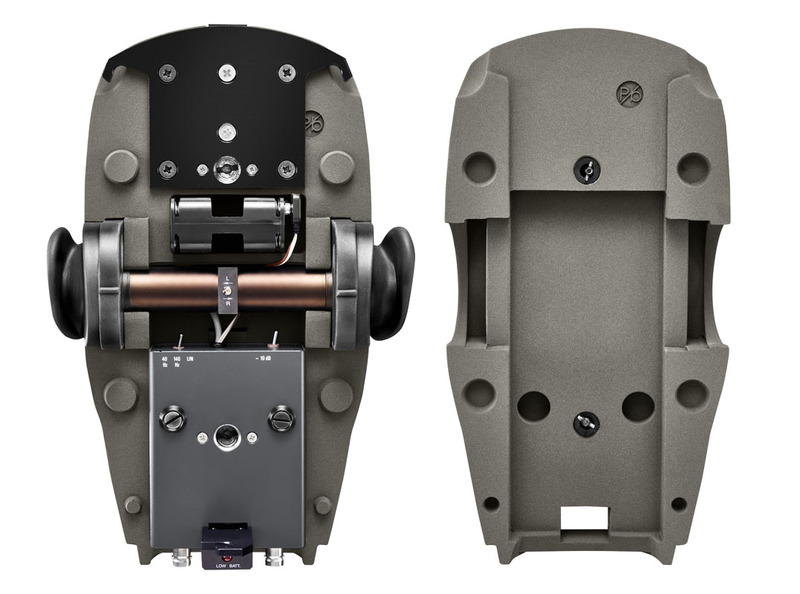 A second switch offers three low cut options, 150 Hz, 40 Hz, and linear. Both switches affect both channels. 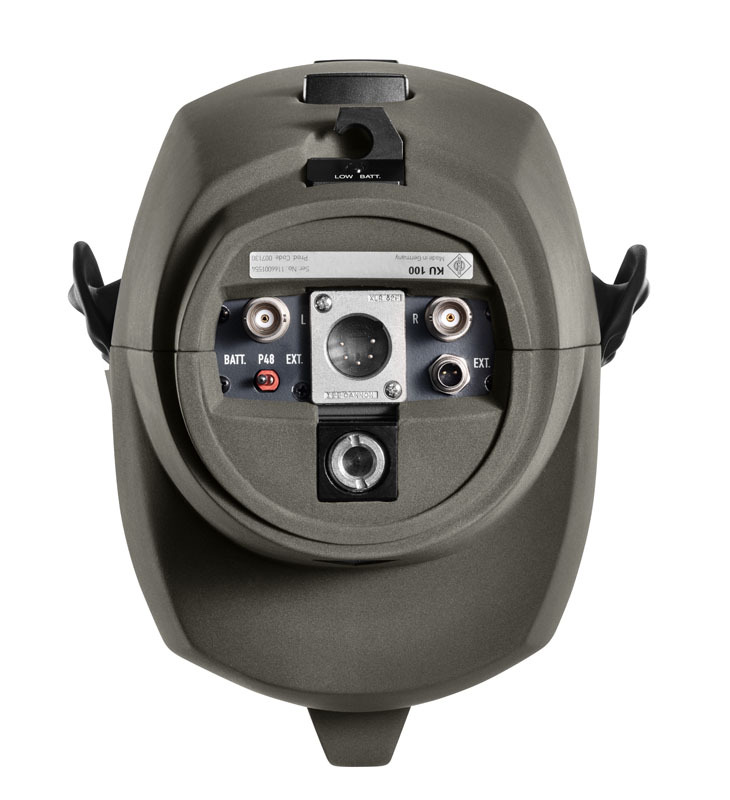 The KU 100 has a balanced XLR 5 stereo output and unbalanced BNC outputs. Three powering options are available: P48 phantom power, internal battery, and external PSU (included). Due to its natural and transparent sound, the KU 100 can be used for all kinds of head related recordings. Typical applications range from classical recordings and radio drama productions to experimental pop and ambient recordings. In addition, the Neumann KU 100 is also often used for industrial applications, e.g. documenting and examining noise in automobiles or work places.